The ŠKODA Muzeum in Mladá Boleslav – the birthplace and most important production site for ŠKODA – is housed in former production halls. These buildings were still being used to produce cars in 1925, providing a fascinating and authentic backdrop for a museum. Visitors are taken on a captivating journey through time using 46 highlights from the collection of one of the oldest and most traditional car brands in the world. The journey does not follow a particular timeline; instead, it’s broken down into three main themes: Tradition, Evolution and Precision. In the Tradition area of the exhibition, three pairs of cars are on display to reflect different automotive eras that symbolise three core brand values of ŠKODA: pride, everyday life and challenges. Each pair has its own glass display cabinet, recounting the story of each exhibit with documents, quirky stories and personal memories. At the centre of the Evolution area, an armada of vehicles moves around in chronological sequence to show the exciting evolution of the brand over the years. This part of the museum also contains a technology gallery and a four-level display of cars holding 20 vintage vehicles. These can be sorted and rearranged like an oversized juggling machine. Production and restoration form the backbone of the Precision exhibition area. Four vehicles are shown at four stages of restoration to illustrate the key steps of the process – from unearthing an old car in a farmyard shed to a sparkling jewel of automotive history. 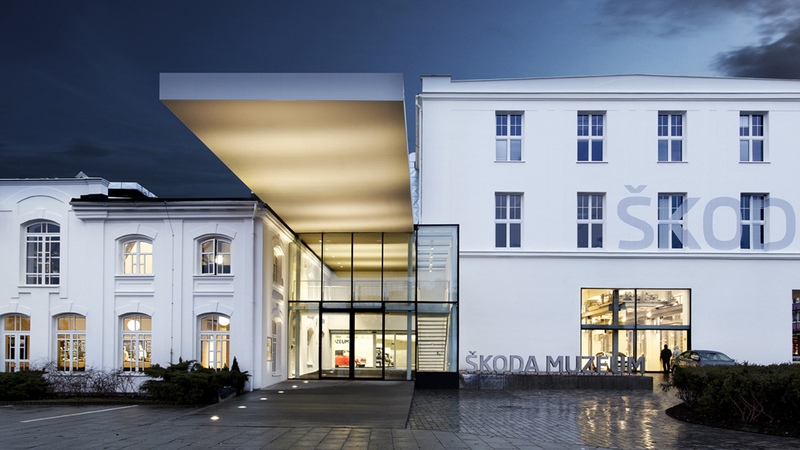 As well as using the indoor area to showcase each exhibit, the new ŠKODA Muzeum also runs films and features interactive units that take visitors on a journey through time, letting them rev up the engine again of vehicles that only ever stopped moving in the physical world.